“The gold standard of reissue distributors” (Kenneth Turan, Los Angeles Times), Rialto was founded in 1997 by Bruce Goldstein, who was joined a year later by partner Adrienne Halpern. In 2002, Eric Di Bernardo became the company’s National Sales Director. 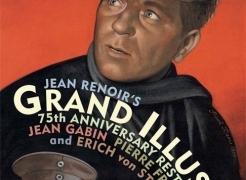 Rialto’s past releases have included Renoir’s Grand Illusion, both in 1999 and in a new 4K restoration for its 75th anniversary in 2012; Carol Reed’s The Third Man; Pontecorvo’s The Battle of Algiers; Fellini’s Nights of Cabiria (for the first time in its “director’s cut”); Jules Dassin’s Rififi; Godard’s Breathless, Contempt, Band of Outsiders, Masculine Feminine, Le Petit Soldat, as well as the U.S. premiere of his Made in U.S.A.; Kurosawa’s Ran; Buñuel’s The Discreet Charm of the Bourgeoisie; Clouzot’s Quai des Orfèvres; Jacques Becker’s Touchez pas au Grisbi; Bresson’s Au Hasard Balthazar and Diary of a Country Priest; Resnais' Last Year at Marienbad; the U.S. premiere of the original, uncut Japanese version of Godzilla; the U.S. premiere of the complete, uncut version of Jean-Pierre Melville’s Le Cercle Rouge; the U.S. premiere of Claude Sautet's Max et les Ferrailleurs; and the U.S. premiere of Melville’s Army of Shadows, which became the most critically-acclaimed film of 2006. In 2013, in collaboration with the British Film Institute and Park Circus Films, Rialto began touring “The Hitchcock 9” – Alfred Hitchcock’s nine surviving silent films, all newly restored by the BFI. Additional 2013/2014 releases included a digital restoration of Godzilla for its 60th anniversary; restorations of Joseph Losey's two collaborations with Harold Pinter, The Servant and Accident; Godard's Alphaville; Robin Hardy's definitive cut of The Wicker Man; and Rob Reiner's This Is Spinal Tap. 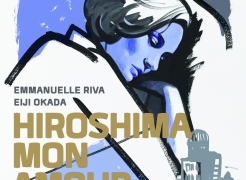 In 2014, Rialto released a stunning new 4K restoration of Alain Resnais’ debut feature Hiroshima Mon Amour and, for the first time in the U.S., Paul Grimault’s French animated classic The King and the Mockingbird, both of which were presented at the 52nd New York Film Festival; a new 4K restoration of the complete uncut version of Marcel Carné’s Le Jour Se Lève, which put back scenes censored by the Vichy government; and Mario Monicelli’s The Passionate Thief. 2015 saw reissues of The Film Foundation’s spectacular new 4K restoration of Powell & Pressburger’s The Tales of Hoffmann; René Clément’s Forbidden Games; a new 4K restoration of The Third Man, five films by Claude Sautet, all newly transferred to DCP; new restorations of Army of Shadows and Rififi; and the 25th anniversary release of Whit Stillman’s Metropolitan. 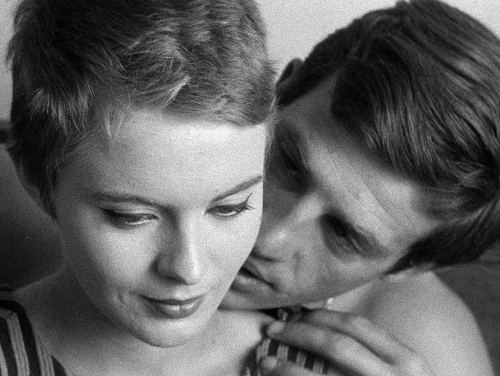 Current releases include new restorations of Carol Reed’s The Fallen Idol, Godard’s Band of Outsiders and Pierrot Le Fou, Kurosawa’s Ran, Stig Björkman’s new documentary Ingrid Bergman – In Her Own Words, and Louis Malle's Elevator to the Gallows. 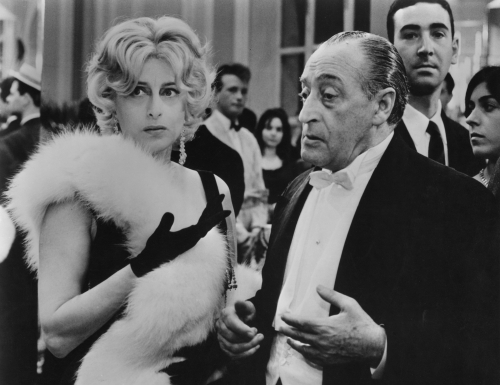 In 1999, Rialto received a special Heritage Award from the National Society of Film Critics, and in 2000 a special award from the New York Film Critics Circle, presented to Goldstein and Halpern by Jeanne Moreau. The two co-presidents have each received the French Order of Chevalier of Arts and Letters. 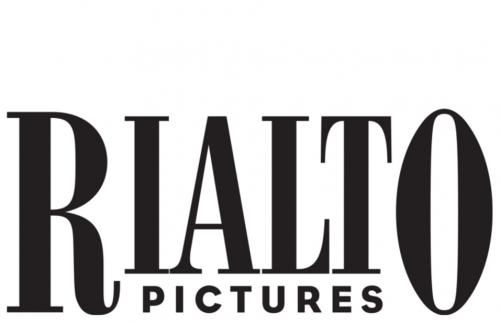 In 2012, Rialto became the U.S. theatrical and non-theatrical representative of the Studiocanal library of over 2,000 international classics. 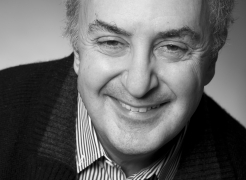 Bruce Goldstein is the founder of Rialto Pictures and repertory programming director of New York’s Film Forum, the country’s leading theatrical showcase for classic revivals. Among his many awards are those from the New York Film Critics Circle, National Board of Review, San Francisco Film Festival, the French government (Order of “Chevalier”), and the first Lifetime Achievement Award in Film ever given by George Eastman House. Adrienne became Co-President of Rialto Pictures in 1998 after a career as an entertainment lawyer, first at ICM and then as Senior Counsel at Loeb and Loeb, where she represented producers, distributors, talent, and lenders and was Secretary of The Cousteau Society. She graduated from Yale College and NYU School of Law. She is a Trustee of FACE Foundation, supporting French-American Cultural Exchange, and has received the French Order of Chevalier of Arts and Letters. Eric joined Rialto in 2002. He previously worked for Paramount Pictures and Orion Pictures and was involved in the release of eight Best Picture Academy Award winners. 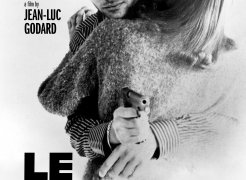 He has the distinction of distributing both the original Breathless (50th anniversary) and its 1983 remake. Dave joined Rialto Pictures in 2012. He received his B.A. in Cinema & Media Studies from the University of Chicago and his M.A. in Cinema Studies from New York University. Dave's previous work in the film industry includes positions at IFP/Chicago, Sony Pictures Classics, the Film Society of Lincoln Center, and the Museum of the Moving Image.